I love piped seams. It’s the costumer in me. 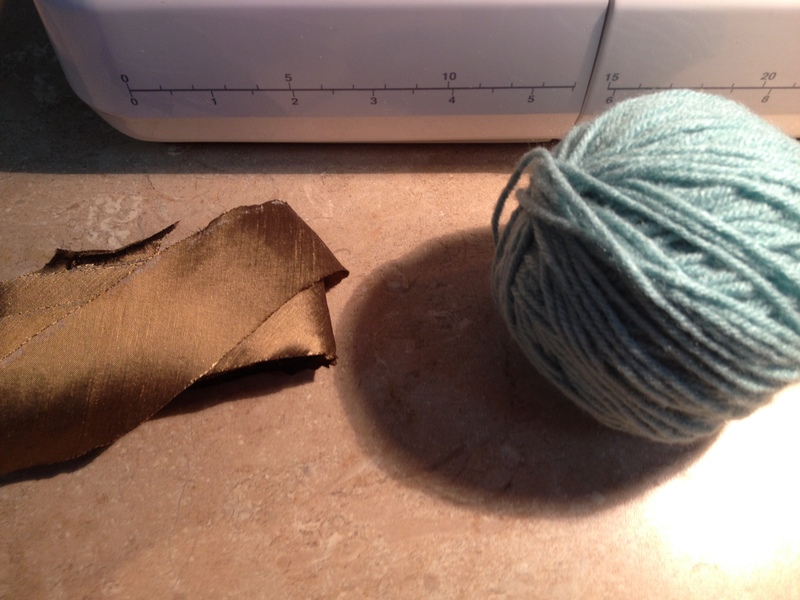 The trouble is that piping can get expensive, but making your own is super-cheap and easy and then you can have silk piping which is, I’m pretty sure, one of the high points of human civilization. 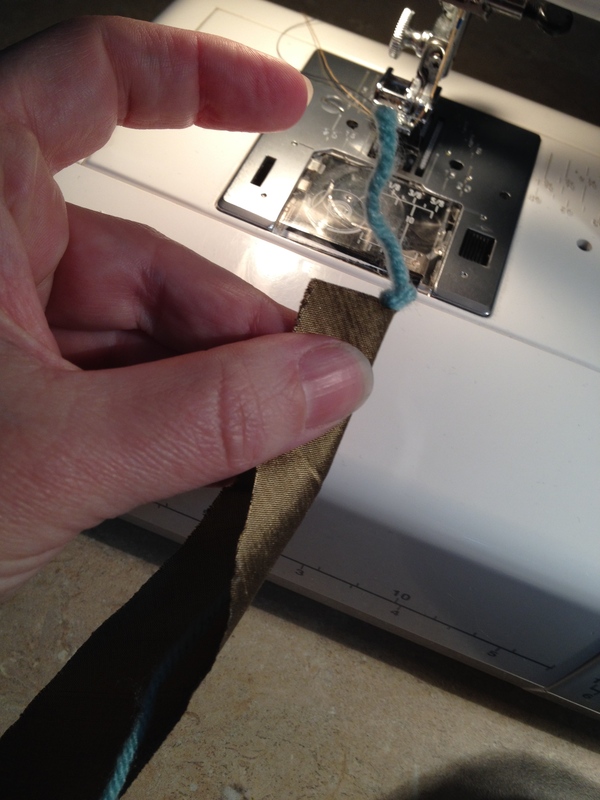 If you already know how to make bias tape, you’re half way home! You will need bias tape (1 – 1 1/4″ wide), some form of pipe-filling, and a few minutes. Now, there’s an official right substance to use inside of bias tape. You can buy it at the fabric store. Sometimes I use it. I am most likely to use plain old cheap acrylic yarn in any kinda pukey color that I can’t imagine knitting with. (I have a lot of spare yarn.) 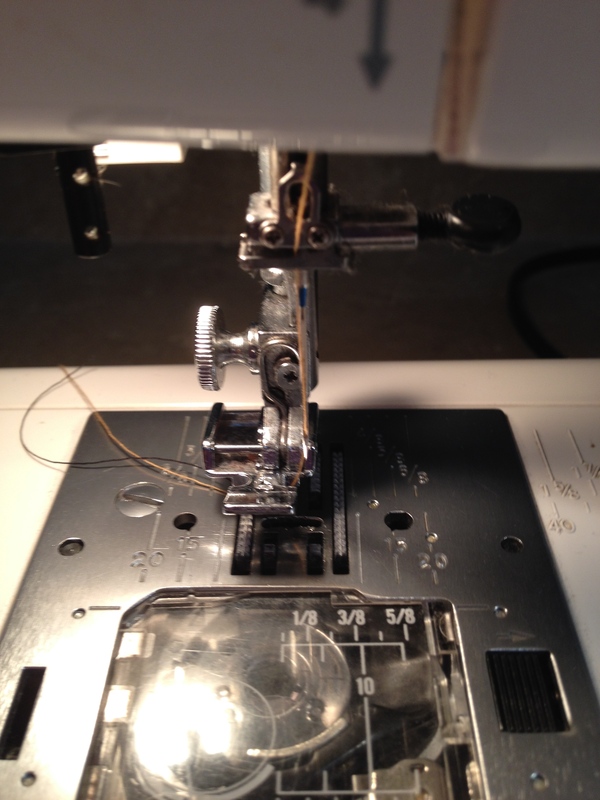 If you want piping that will also be very architectural/help stiffen an edge or hem, try a heavier nylon monofilament. Weed-whacker line works right nice. 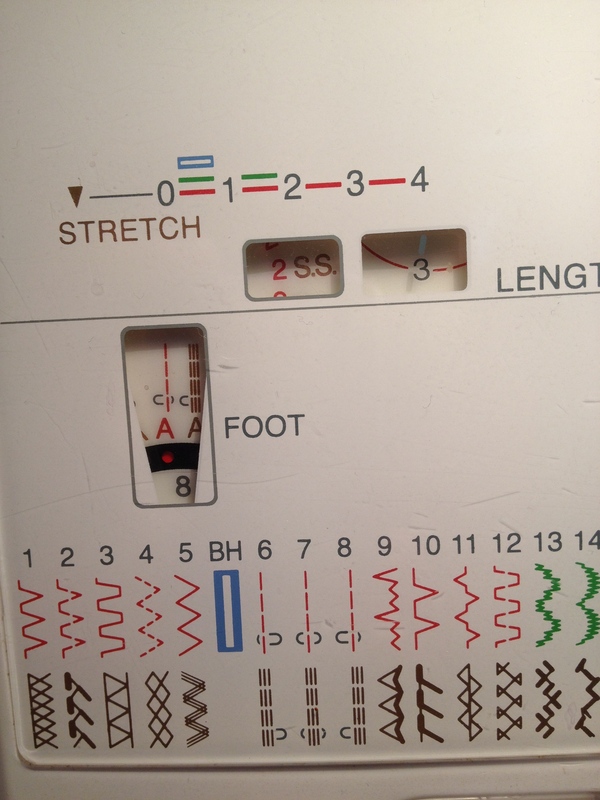 If at all possible with your machine, move your needle over to the right side. 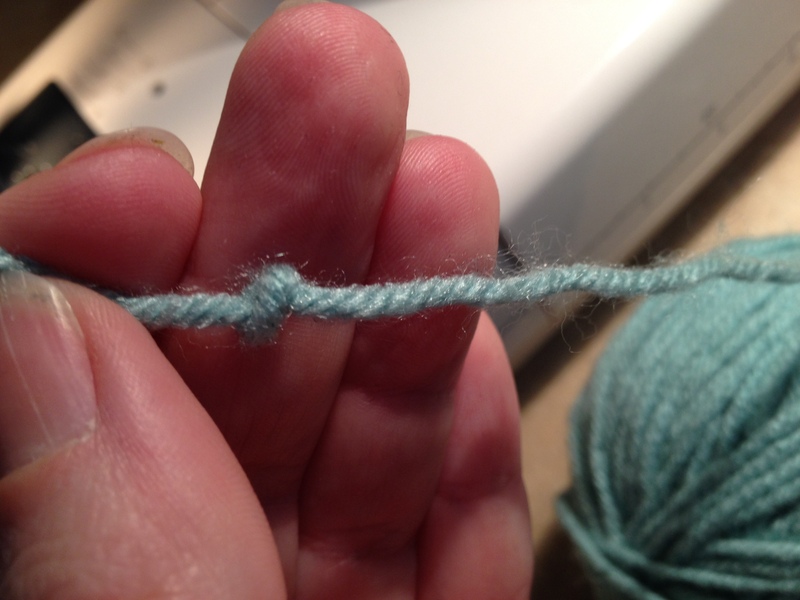 Use a middlin’ stitch length. Put on your zipper foot, with the body of the foot to the left. Make sure that the needle will not impact the foot. That never ends well. Ideally, at least one of the threads in your machine should more-or-less match the color of the bias you are using. If possible, tie a knot in the end of your filler. Fold the bias around the filler. The edges of the bias should meet. I mean, ideally. I’ve made some pretty shadey bias piping in my time and had it work out ok, but it’s much easier to sew down if all things are even. And run that bad-boy through the machine. (Look at that – looks just like piping coming out the back, doesn’t it?) Your stitches should be a good 1/16″ from the edge of the filler. This is so that when you sew the piping to a garment later, those stitches can be right next to the filler and no stitches will be visible. Hi, Kurajane – thanks! The weed-whacker/heavy filler trick works really well for droopy straps. You can heat-set it, so a low to medium iron will let you put permanent bends into the line where the strap joins the bodice. If you’d rather not fuss with that, just use the line as a filler for bias that goes around the armscye side of the strap, and use something “normal” for the neckline bias. Hi, Thank you for this post! I searched everywhere and your the only one that makes any sense! I’ve never made piping but I do make my own bias. I’m wondering if jute twine would be an ok type of cording . I’m putting piping on a jacket/blouse. Hi Kat! :) I’ve certainly used jute twine in cording. Whether or not it’s appropriate depends on the weight of your blouse/jacket material and the weight of the twine. If the piping is going to provide structure to the garment, you want it to be slightly heavier/stiffer than the prepared fabrics used in construction. If it’s just decorative, you want it to match the prepared fabrics or be a little lighter. 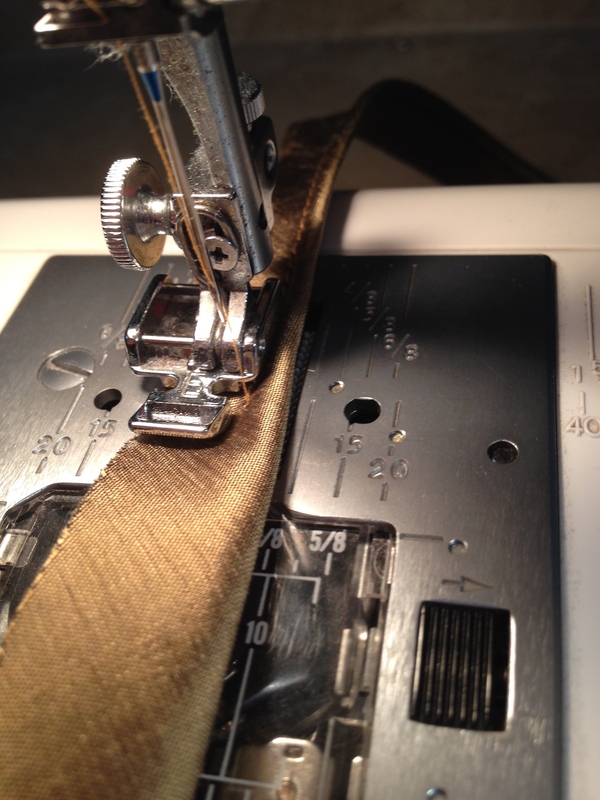 (Prepared fabrics means the fabric with any interfacing/interlining/structural thingamajobbies applied.) I hope that helps, and I’m very sorry for missing your comment for so long!